Stay with us in the beautiful handcrafted log cabin that is Badger’s Wood. The European badger (Meles meles) also known as the Eurasian badger, is a species of badger in the family Mustelidae and is native to almost all of Europe and some parts of West Asia. Several subspecies are recognised; the nominate subspecies (Meles meles meles) predominates over most of Europe. The European badger is classified as being of least concern by the IUCN as it has a wide range and a large population size which is stable, and even increasing in some areas. The European badger is a powerfully built black, white, brown and grey animal with a small head, a stocky body, small black eyes and short tail. Its weight varies, being 7–13 kg (15–29 lb) in spring but building up to 15–17 kg (33–37 lb) in autumn before the winter sleep period. It is nocturnal and is a social, burrowing animal that sleeps during the day in one of several setts in its territorial range. These burrows, which may house several badger families, have extensive systems of underground passages and chambers and have multiple entrances. Some setts have been in use for decades. Badgers are very fussy over the cleanliness of their burrow, carrying in fresh bedding and removing soiled material, and they defecate in latrines strategically situated around their territory. Though classified as a carnivore, the European badger feeds on a wide variety of plant and animal foods. The diet consists mainly of earthworms, large insects, small mammals, carrion, cereals and root tubers. Litters of up to five cubs are produced in spring. The young are weaned a few months later but usually remain within the family group. The European badger has been known to share its burrow with other species such as rabbits, red foxes and raccoon dogs, but it can be ferocious when provoked, a trait which has been exploited in the now illegal blood sport of badger-baiting. 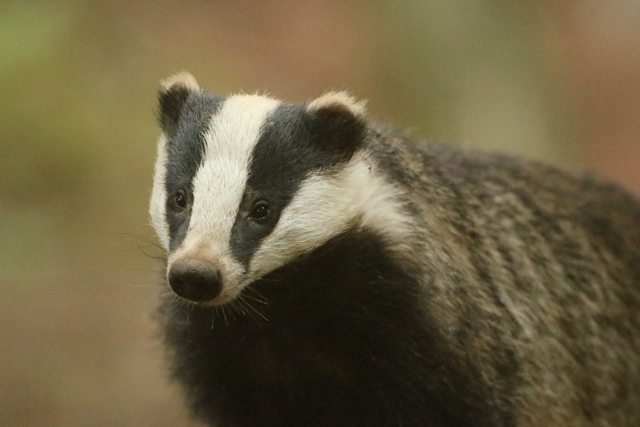 The spread of bovine tuberculosis has been attributed to badgers, however, studies in 2016 conclude that the issue is more to do with cattle and farm management. 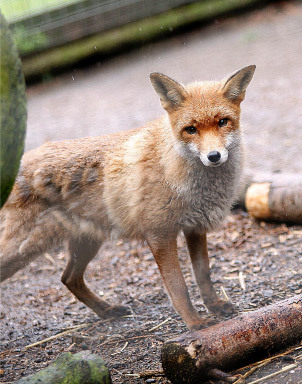 The red fox (Vulpes vulpes) is the largest of the true foxes and the most abundant wild member of the Carnivora, being present across the entire Northern Hemisphere from the Arctic Circle to North Africa, North America and Eurasia. It is listed as least concern by the IUCN. 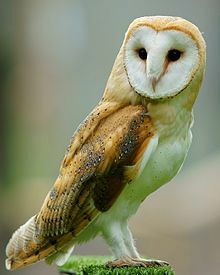 Phylogenetic evidence shows that there are at least three major lineages of barn owl, one in Europe, western Asia and Africa, one in southeast Asia and Australasia, and one in the Americas, and some highly divergent taxa on islands. Accordingly some authorities split the group into the western barn owl for the group in Europe, western Asia and Africa, the American barn owl for the group in the Americas, and the eastern barn owl for the group in southeast Asia and Australasia. Some taxonomic authorities further split the group, recognising up to five species, and further research needs to be done to clarify the position. There is a considerable variation between the sizes and colour of the approximately 28 subspecies but most are between 33 and 39 cm (13 and 15 in) in length with wingspans ranging from 80 to 95 cm (31 to 37 in). The plumage on head and back is a mottled shade of grey or brown, the underparts vary from white to brown and are sometimes speckled with dark markings. The face is characteristically heart-shaped and is white in most subspecies. This owl does not hoot, but utters an eerie, drawn-out shriek. Located only a 2 minute walk from the farm park. Badger’s Wood is a unique self catering accommodation on the outskirts of Telford. The well equipped open plan family apartment is approximately 30 square metres with timber cladding, vaulted ceilings and wooden beams. Offering the opportunity to experience life in a real log cabin nestled in an extensive wooded garden with access to a large decked area with Hot Tub and BBQ area. Wildlife is in abundance with regular sightings of wild badgers, foxes, buzzards and owls amongst other bird life. Bookings for up to 10 people can be taken – just drop us an email at stay@hoofarm.com to find out more. All stays include admission to Hoo Farm – only during farm opening hours. Tickets to Hoo Farm included during farm opening hours.